Most car accidents rarely happen head on, your car is either hit from the side or from the back. The same thing happens when you’re creating an idea. You will always be hit from your blindside! The rules to a successful idea is just like the rules of the road. And by following these simple rules below, you can prevent many accidents from your blindside. The Rules below will pay off in a big way by saving you lots of money, time, and heartache. You can learn a lot from a dummy, so use these rules as your seat belt. Additional hosting – never have just one hosting account. 1. If your website gets hacked, so does the e-mail accounts within it. So always have a second domain similar to your 1st domain to host your e-mails and landing pages (example chase.com [main host] and chase.net [2nd host and e-mail ]). 2. If your main website goes down, you can transfer/redirect the website to your backup domain (hosting) and be up and running in minutes. Your backup hosting account should be cheap, no more than $5.00 to $6.00 a month. Here are some good options below. The faster your website moves, the faster the sale can take place. Even if you have a static site ( a website that is just for info purposes). That website will be a reflection of your business, so you wouldn’t want your customers thinking your service is as slow as your website. Now you can hire a freelancer to optimize your website to make it load faster. But to start, you show make sure you have a hosting company who loads speeds aren’t too slow. 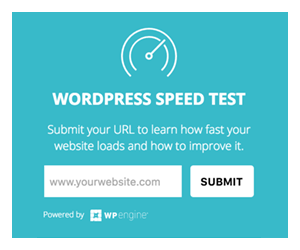 Here is a hosting company that has fast loading speeds, and they will let check your speed current website as well. If you’re like me, you may have some time to learn, but no time to waste. Not even the owner of Facebook Mark Zuckerberg codes or make websites anymore. So don’t waste your time doing something that you’re not good at. Why not just hire a freelancer at a fraction of the cost. One time a freelancer charged me $150.00 to build a site for me. This same site would have taken me days or weeks to complete myself. Here are a website that you can use to hire a freelancer. They even let you post the job for free. For Landing Pages and Lead capture I recommend Thrive Themes, it’s a WordPress Theme that’s designed setup landing with pop-up lead capture forms. I like Thrive because it’s easy and cheap. To give you an idea. Click Funnels starts at $100.00 a month and Thrive Themes is only $29.99 a month. The CRM system I use is called Agile CRM, it’s only 8.99 a month for the starter package, it’s easy to setup and does e-mail campaigns, texting campaigns, call campaigns, and so much more. You can setup an account for free to get started. Whether it is your Logo, Web, or App design; Design is the key to all creditability, legitimacy, and traffic conversion. If anything on your website or app looks flawed, a majority of you customers will click the X on your website or uninstall your app immediately. The best way to get the best design work for your logo, app, or website is to start a contest. By doing so you’ll get 5 to 10 or more UX or graphic designers competing to win your business giving you more options to choose from. To start this contest I use 99Designs, this way I am sure to get top quality design work at a fraction of the price. Last but not least, all the freelancers you hire needs to sign a contract. Not all freelancers are bad, but some of them forget small simple things like payment terms, ownership of work, and my favorite “deadlines”! You just don’t want to put yourself in a position where there is a legal battle and you’re on the wrong side of the fence. So always get a contract. To checkout some of the contracts we have, just click the home button. I hope this helped answer some of your questions, if you still have more questions we are always here to help. As a matter of fact you can schedule an appointment with one of our coaches who can answer any questions you may have about your journey.